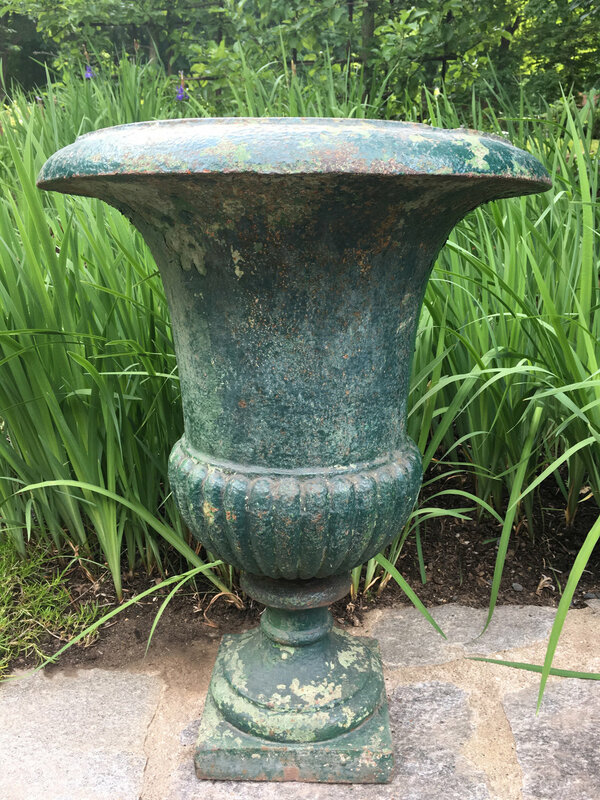 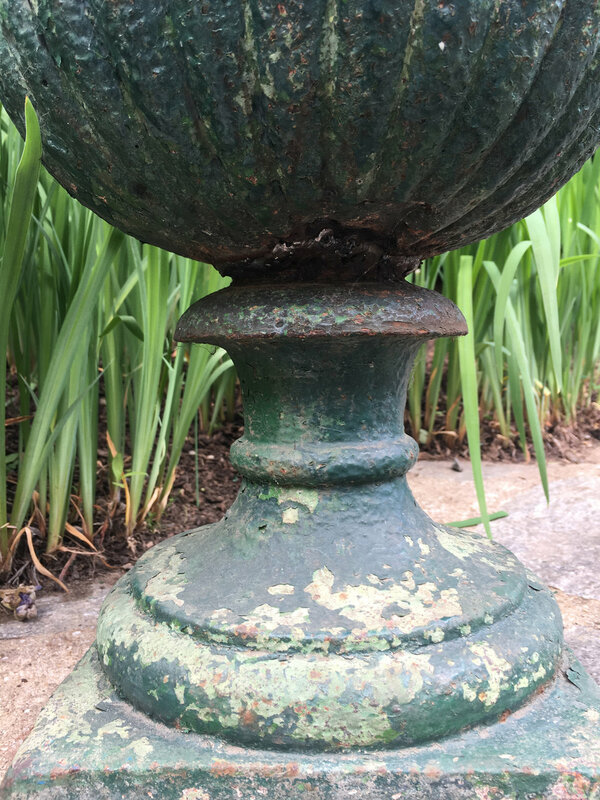 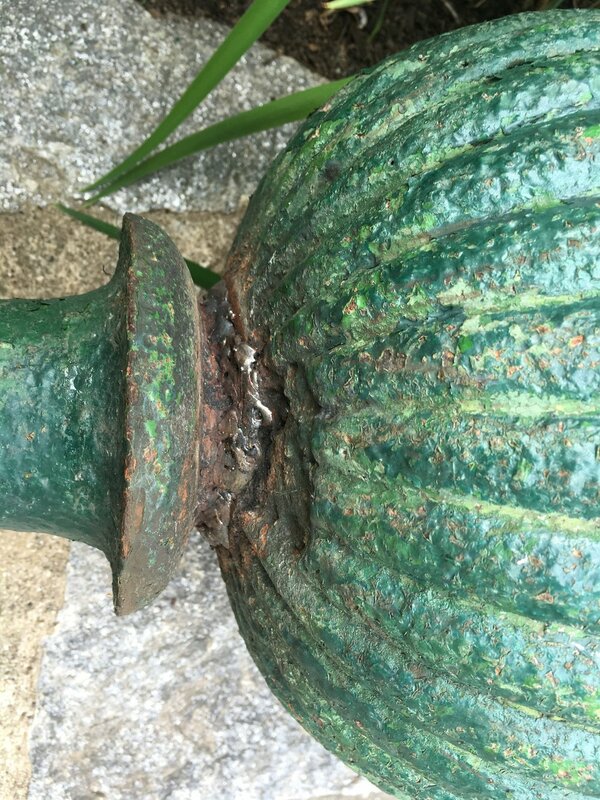 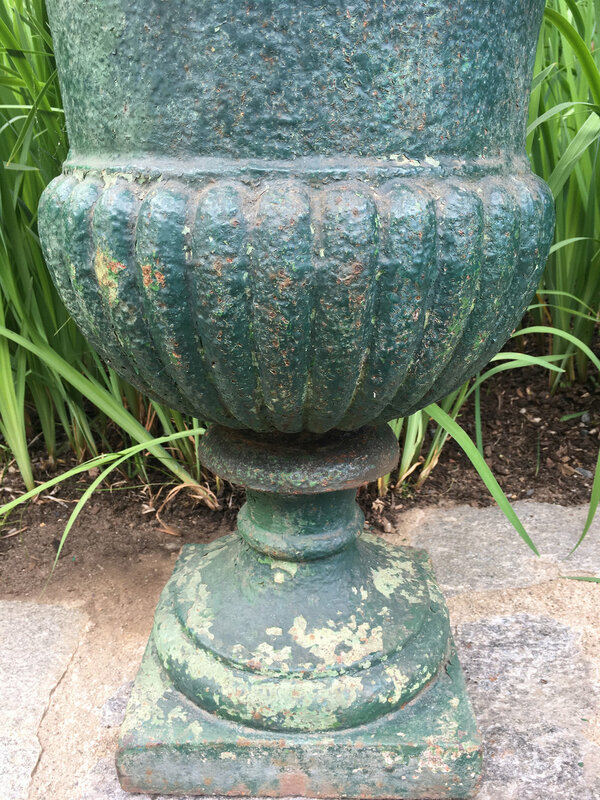 This classical cast iron campana-form urn has the most beautiful old green painted surface and is in exceptional condition. 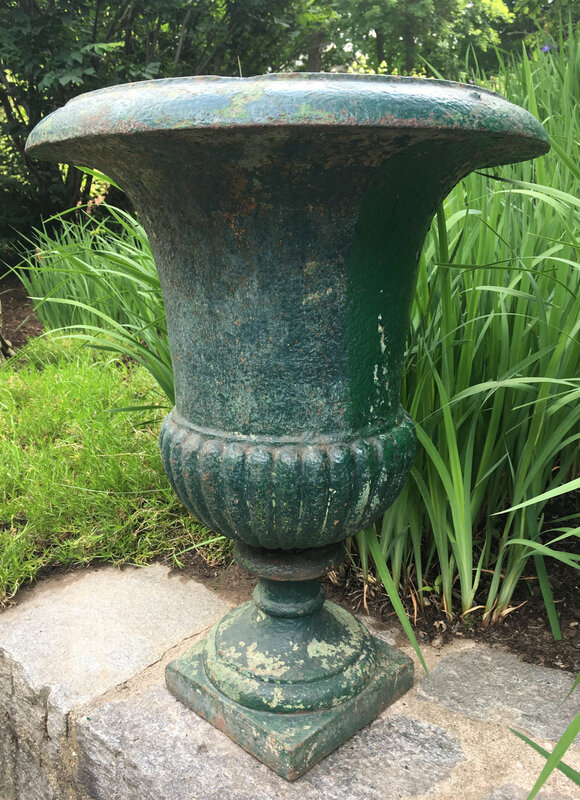 With a plain, everted rim and semi-lobed body, it is the perfect accent piece beside your front door or standing alone in a small herb garden. 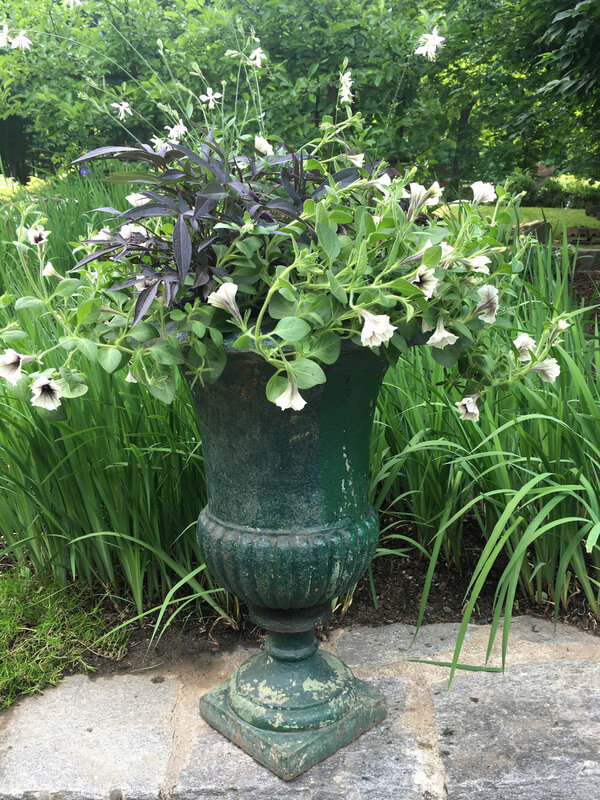 Very sculptural, it needs no adornment, but has a very deep planting well that can accept a large arrangement. 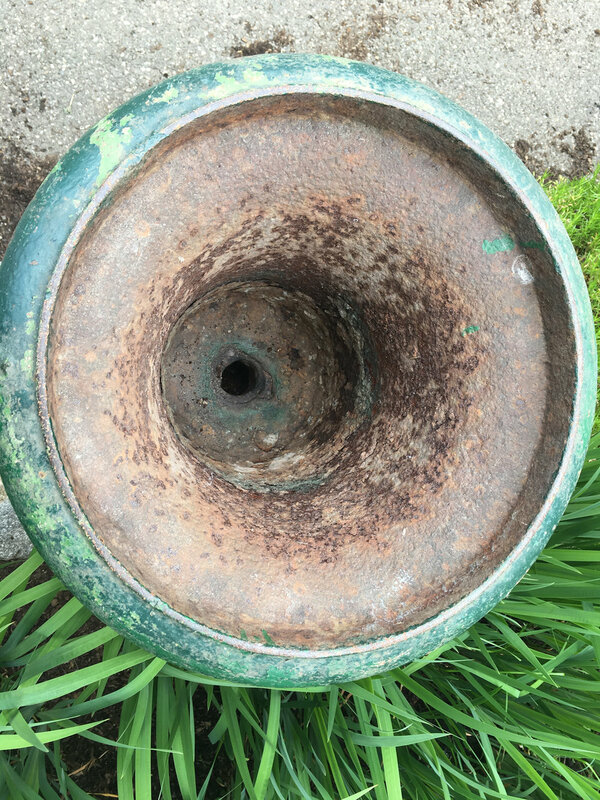 The foot measures 8.5" square.